UK internet users will soon find it much harder to access pirated content via leading search engine's results thanks to a new code of practice created by Google and Microsoft’s Bing. Said to be the first of its kind in the world, the code of practice is the result of talks between the tech giants, the entertainment industry, and the UK government. Rather than creating entirely new rules, the code will run alongside existing anti-piracy laws, ensuring they’re effective in demoting sites supporting pirated content in search results. According to the BBC, though Google has signed up to the code, it believes it’s a sufficiently “active partner” in the current fight against piracy and remains “committed” to continuing this fight alongside rights holders. 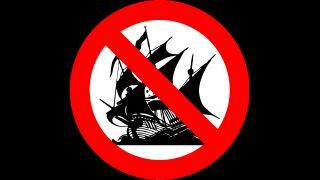 At the moment in the UK anti-piracy measures include court-ordered site blocking, education campaigns and efforts to curb the appearance of advertising on illegal sites. This new agreement from Google and Bing will supplement these government efforts to reduce the number of visitors to these sites by directing internet users towards legitimate sites rather than pirate sites. It is, he states, as much about protecting those using these search engines as it is about protecting the creators of the material that’s being pirated. Of course, anyone actively seeking out pirated content and sites that host it will still absolutely be able to find both. However, a move like this will at the very least reduce the likelihood of internet users stumbling across it accidentally and will raise legitimate options to their attention. The code is expected to come into effect this summer.